A visit today from a Pine Warbler, how nice. It sampled my homemade suet dough and came back for more. I haven’t seen a Pine Warbler since last April. This entry was posted in Uncategorized and tagged backyard birds, birds, Pine Warbler on March 27, 2016 by Amy. Pine Warbler, looking up at a suet cake. Two of these lively little warblers have been in the neighborhood for a few days. Pine Warblers are often difficult to see as they usually stay high up in pines. Insects make up most of their diet, but they also eat fruits and seeds. They occasionally forage on the ground or come to feeders. Males sing even, rich trills from the tops of pines. Most warblers leave the continental U.S. for winter, but the Pine Warbler stays in the Southeast and is one of the first to return northward in spring. 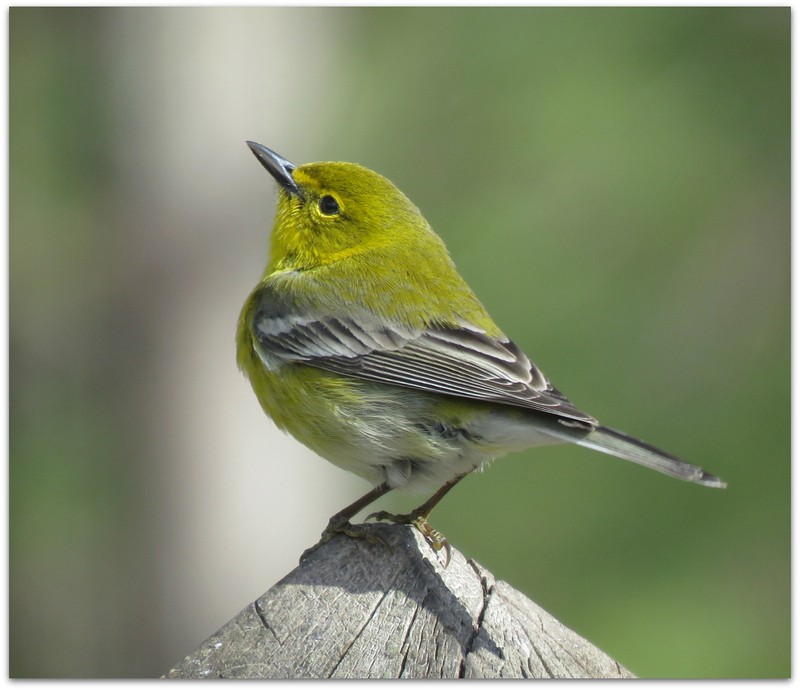 This entry was posted in Uncategorized and tagged Pine Warbler on April 24, 2015 by Amy.